User Registration – Open Now! Prescribers and nurses who manage patients receiving Immunoglobulin (Ig) products must register before their State/Territory go live date. Registering now will help to make the transition and go live of BloodSTAR as smooth as possible. *Prescribers and Nurses working in NSW Health facilities do not need to register at this time. How do I register for BloodSTAR? Login to BloodPortal or create a BloodPortal account by clicking on New User? Create an account at https://portal.blood.gov.au. For detailed tip sheets on how to register as a future user of BloodSTAR go to https://www.blood.gov.au/system/files/BloodSTAR-User-Tip-Sheet-Registration%20-and-Role-Requests.pdf. For any questions or support while registering contact the NBA Support team on 13 000 BLOOD (13 000 25663) or support@blood.gov.au. Review Letter from the Blood Service – will no longer be provided to treating medical specialists as a reminder of the patients ending Ig authorisation. A patient’s authorisation to receive Ig will cease on the authorisation end date, as detailed within their BloodSTAR record, unless their treating clinician records review outcomes for the patient and submits an authorisation request for continuing treatment to the Australian Red Cross Blood Service (Blood Service) authorisers via BloodSTAR. Treating clinicians will be notified by email of their patient’s approaching authorisation end date and the requirement to submit review outcomes in BloodSTAR at 8 and 4 weeks before, on the authorisation end date and 2 weeks after expiry. Paper based Ig authorisation requests - from a State/Territory go live date onwards, paper based requests will not be accepted for new, continuing, or changes to existing authorisation requests. 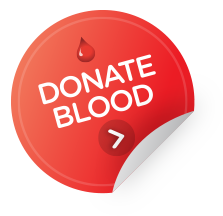 If a paper based form is submitted to the Blood Service, the person who submitted the form will be contacted and instructed how to submit that information via BloodSTAR. Dose change request - if a patient with ongoing authorisation requires an increase in their Ig dose, a prescriber must submit a dose change request for that patient via BloodSTAR for authorisation by the Blood Service. This functionality will be available for all patients with a current authorisation. The BloodSTAR Transition team will be traveling to each State/Territory twice before your go live date. BloodSTAR Go Live Training will be multiple 2 hours sessions, with each session specifically open for one stakeholder group: prescribers, nurses or dispensers. These sessions will go through the system in depth and discuss the functionality available from go live date onwards. The NBA is continuing to work with all jurisdictions to set up and finalise dates for BloodSTAR demonstrations and training and we will communicate these via our website and email as details become available. If you are interested in BloodSTAR training or would like to find out more detail about the current schedule please contact the NBA on 13 000 BLOOD (13 000 25663) or support@blood.gov.au. Facility registration for BloodSTAR and set up of facility administrators is required now! If you are a prescriber of IVIg or SCIg or a nurse who manages patients receiving IVIg or SCIg you must also register now for BloodSTAR. The BloodSTAR user support materials page will be continuously updated with more tip sheets and information so refer back to this page as your State/Territory go live date becomes closer, https://www.blood.gov.au/bloodstar-support-materials. Thank you to all those facilities that have registered and nominated their facility administrators. In order to support user registration, the NBA has entered into BloodSTAR the details of those facilities that have received Ig product in the last 12 months but have NOT yet self-registered. It is important to note, however, that until each of these facilities nominates at least one facility administrator, staff working within the facilities will not be able to be granted access to the system. The NBA will be following up with all facilities without facility administrators to ensure they register at least one facility administrator well before their State/Territory go live. If you are the treating clinician of patients who have authorisation to receive Ig beyond your State/Territory go live date, the Blood Service will be writing to you to request confirmation of your patients’ details for entry into BloodSTAR and to advise, for each patient, whether the Blood Service has a copy of the patients’ BloodSTAR consent on file or that a copy needs to be provided. To avoid unnecessary interruption to your patients’ Ig treatment during the BloodSTAR go live period, please take the time to carefully review the contents of the Blood Service letter, complete the required information and return it to the Blood Service by the requested date.